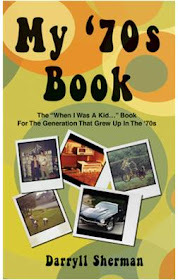 I started this blog because I have a lot of great memories of the '70s. This could end up taking a lot of time as I start to verbally reminisce, and I'll bet that there are a LOT of us who all have a lot of great memories! For some silly reason, I started this at 12:45 am, and I need to work tomorrow, so I'll get back to this later and will start to espouse all things '70s. I'm looking forward to this - I think that this will be a lot of fun.